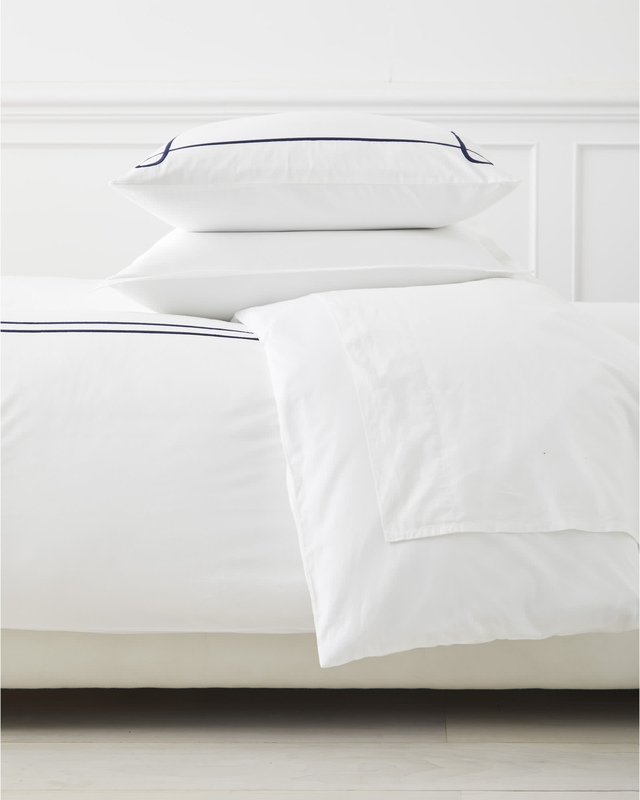 Southport Duvet CoverSouthport Duvet Cover, alt="Southport Duvet Cover, "
Print Because the way bedding feels is as important as how it looks, we tailored ours with eco-friendly cotton percale for that crisp and airy quality we love. For striking detail, we designed an interconnecting border that frames the bed perfectly (and travelled to Portugal to get it expertly embroidered). The touch of texture is fantastic against the subtle sheen of the white base – a simple design note that gives the room that extra something. 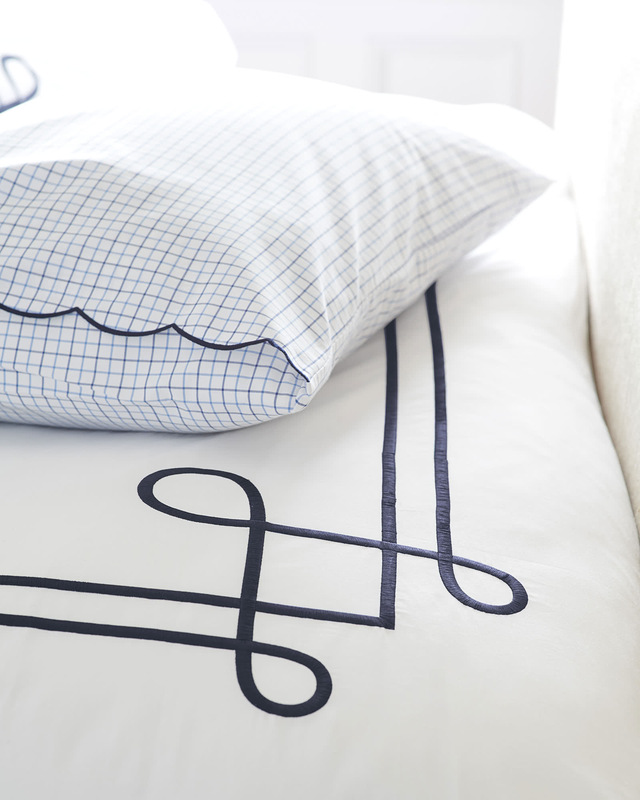 100% cotton percale with cotton embroidery. Embroidered double border frames the mattress. Machine wash warm. Tumble dry low and pull straight out of dryer to avoid wrinkles. Knife edge and fabric-covered button closure. /Cal King: 108” x 92".